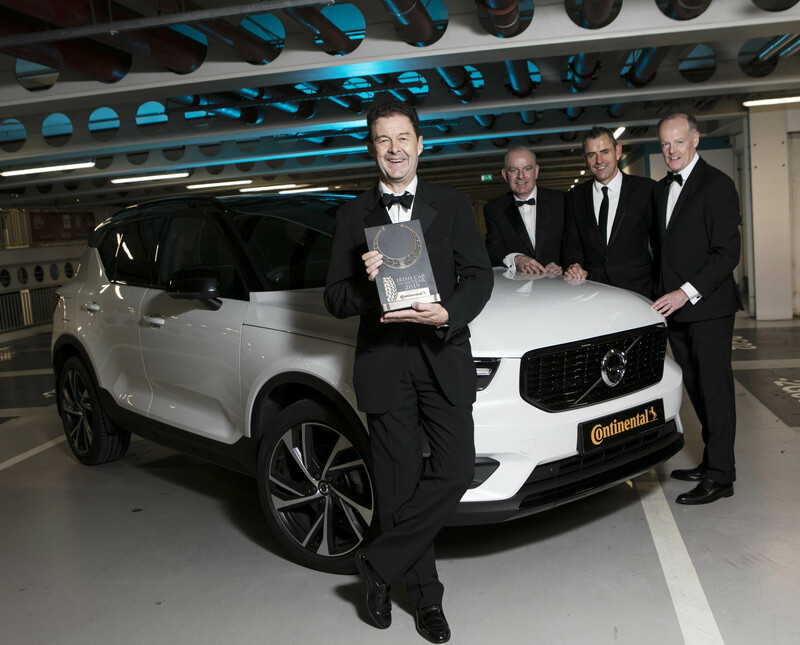 Pictured is David Thomas, CEO Volvo Ireland with Tom Dennigan, Continental Tyres, Bob Flavin & Mark Gallivan joint Chairmen of the 2019 Irish Car of the Year Award Committee in association with Continental Tyres. The Irish Car of the Year Awards in association with Continental Tyres, took place on November 8, at the Gibson Hotel, Dublin. 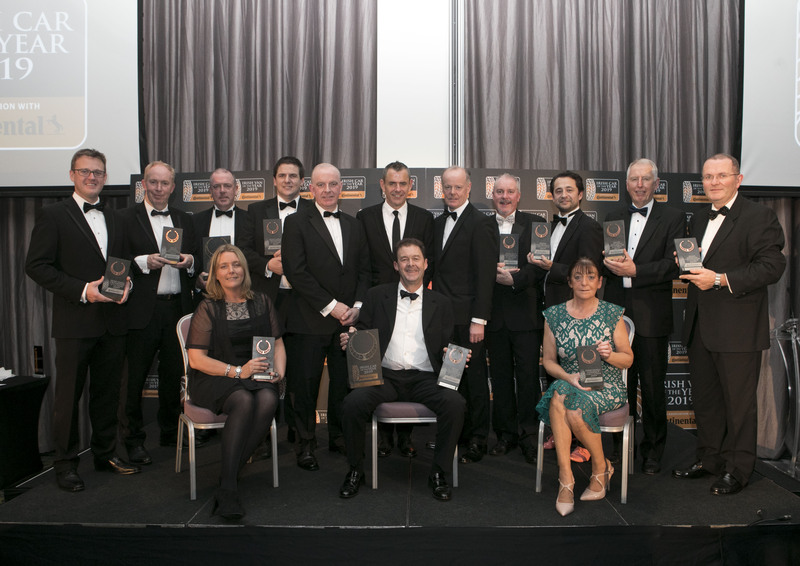 Motoring journalists from print, online and broadcasting hosted a gala black tie event attended by Ireland’s leading car brands, importers, distributors and other motoring dignitaries. The Volvo took the top award with its XC40 model which was also named as Irish Compact Crossover of the Year category winner. 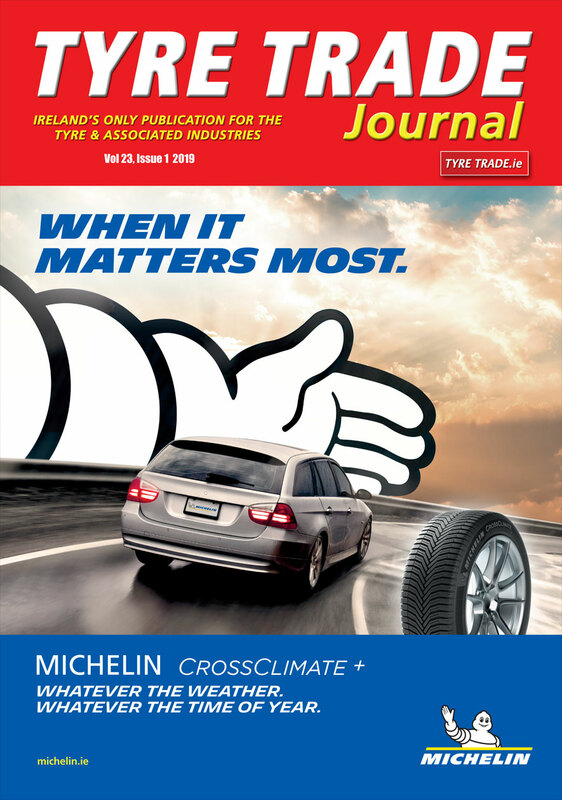 Apart from the Innovation category award winner, the nine other category winners were all in the running for the top honour with the judging panel of some 33 journalists electing the Volvo XC40 by a very slim margin. The 2018 Irish Car of the Year award was won by the Peugeot 3008. The Mercedes Benz Sprinter was voted as Irish Van of the Year 2019. Padraic Deane is a member of the nine member Irish Van of the Year jury. Pictured is back row(L-R), Niall Phillips, Skoda Ireland, James McCarthy, Nissan Ireland, Fergus Conheady, Mercedes-Benz, Martin Cardiff, Volkswagen,Tom Dennigan, Continental, Bob Flavin, Mark Gallivan, both ICOY Committee, Ciaran McMahon, Ford Ireland, Paulo Alves, BMW, Stephen Byrne, Mercedes-Benz and John Donegan, Skoda Ireland. Front Row(L-R), Jeanne McGann, Nissan Ireland, David Thomas, Volvo, overall winner of the Irish Car of the Year Awards 2019, with the XC40 and Anne O’Leary, Ford Ireland.